If you’ve been paying attention, you know that Grounds For Sculpture in Hamilton has started to offer more populist (in a good way) activities – artistic, cultural, performing, and culinary. If you haven’t been there in a while you should check out the complete calendar of activities here. Of course, I’m always most tuned into the culinary end of things, so I am particularly excited about the Bayou Crawfish Boil being mounted by executive chef Shane Cash – a distant relation of Johnny Cash – on Friday, July 12. There are 2 seatings, at 6 & 8:15 pm, on the terrace outside Rat’s Restaurant. 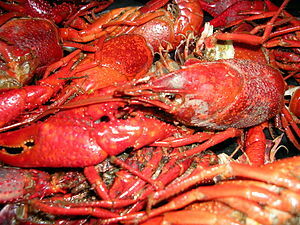 Fresh Louisiana crawfish, BBQ, shrimp ‘n grits, gumbo, & lots more. Plus beers and moonshine cocktails and music by Sidewalk Zydeco. Food: $59. For info & reservations, click here. I posted about Marilyn Besner’s new cafe/bakery here a few weeks ago. More about it is in my story in the July 5th edition of The Princeton Packet, as well as the following recipes from Marilyn and her baker Matt Andresen for coconut macaroons, quinoa tabbouleh, and a delicious green smoothie. Preheat oven to 350 degrees. In a bowl set over boiling water, use an electric mixer to whip the egg whites, sugar, and potato starch until whites are stiff. Remove from heat, stir in the coconut and a pinch of salt. Drop small mounds onto a parchment-lined cookie sheet and bake for 12 to15 minutes, until peaks turn brown. Rinse quinoa well and place in large saucepan with 8 cups water. Bring to a boil, turn down heat to simmer, and simmer until circles start to separate from the seed and the quinoa is tender (10 to15 minutes). Meanwhile chop the scallions, cucumber, and parsley. Make the dressing: whisk together all ingredients. Drain the quinoa and let it come to room temperature. Mix with the vegetables and toss with dressing. Add salt and pepper to taste. Note: Sumac is a dark-red, dried and ground spice with a tart, lemony flavor. It can be found at Middle Eastern markets and at Savory Spice shop in Princeton. Place green juice ingredients in a juicer or heavy-duty blender and process until smooth. Set aside or refrigerate. Place the banana, avocado, date, almond milk, and ice in a blender. Pour in 1/2 cup green juice and blend. Sweeten to taste with honey or agave. 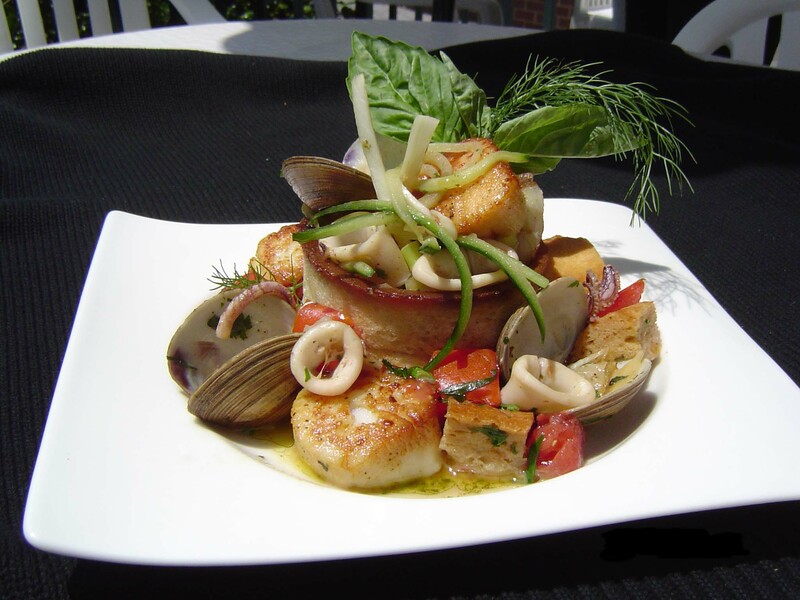 Back in 2004, chef/owner Jim Weaver of Tre Piani won the NJ Seafood Challenge with his Seafood Panzanella, adding Jersey seafood to the traditional Italian tomato-bread-olive oil salad. It’s as good now as it was then. 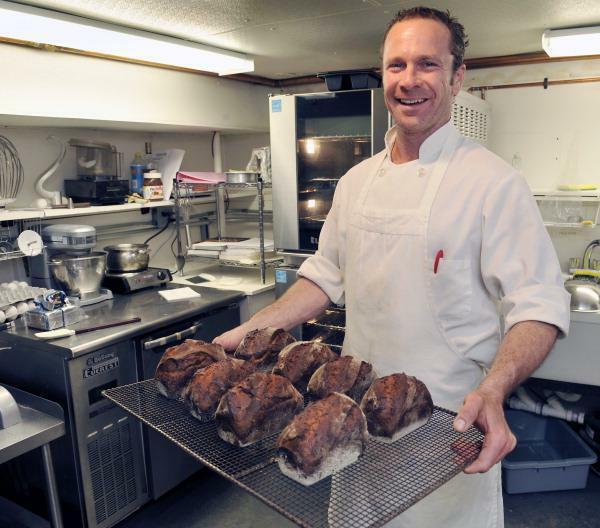 Here’s the recipe (and photo, below) immortalized on the Department of Agriculture’s website. Make the cornbread: Grease or butter a 13- by 9-inch baking pan and preheat oven to 350 degrees. Combine all dry ingredients in a bowl, mixing well. In another bowl combine buttermilk, butter, and lightly beaten egg. Pour the wet mixture into the dry and mix just to combine. Pour into the prepared pan and bake for 30 minutes. Let cool. Assemble: Make the vinaigrette by whisking all the ingredients together in a small bowl. Set aside. In a large bowl mix the tomatoes, cucumber, red pepper, yellow pepper, red onion, baby kale, and capers. Add the toasted cornbread cubes, season with salt and pepper, pour in the vinaigrette, and fold gently, being careful not to break up the cornbread too much. Serve on a nice white platter. This entry was posted in Events, Favorite Finds, Recipes, Restaurants and tagged Chef Jesse Jones, coconut macaroons, cornbread panzanella, crawfish, green smoothie, Grounds for Sculpture, Jim Weaver, NJ Seafood Challenge, panzanella, Princeton Packet, quinoa tabbouleh, seafood panzanella, Shane Cash, Sidewalk Zydeco, Southern panzanella, Tre Piani, Wildflour. Bookmark the permalink.